Most of my younger years were spent in Texas, where I developed a love for all things Mexican food. 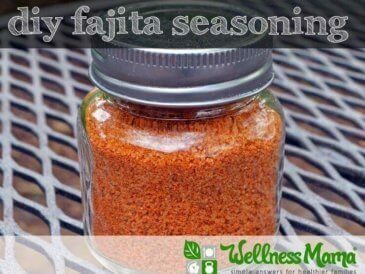 Even now I often make Mexican recipes and Tex-Mex food for my family that feature healthier ingredients, like my homemade taco seasoning. This gluten-free version of homemade enchilada sauce tastes great on enchiladas (and a lot of other things!) 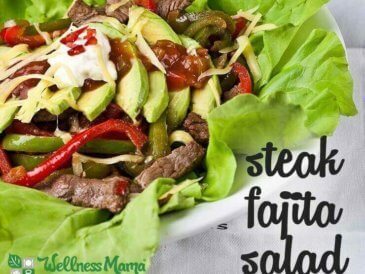 and is the perfect addition to the next Mexican food night. This really is the best enchilada sauce around and beats canned enchilada sauce every time. I know that it may seem really tempting to just pick up a can of store-bought enchilada sauce from the store. After all, how bad can it be? When modified corn starch, MSG, and vegetable oil are on a food label, I tend to run the other way. Also if you’re avoiding gluten, making your own makes sense since the canned version often contains wheat flour as a thickener. 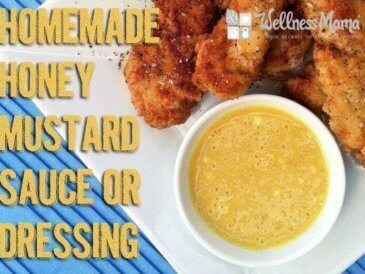 The method below is simple, healthy, and sans gluten. It doesn’t take much prep time and you can even double the batch and save it for another meal with southwest flavors. This tomato-based sauce is full of authentic flavor and tastes good on more than just enchiladas. I like this served over chicken or beef enchiladas, or over a quick southwest scramble of veggies and eggs. This is a great recipe for grain-free enchiladas if you want this sauce on top of the real deal! 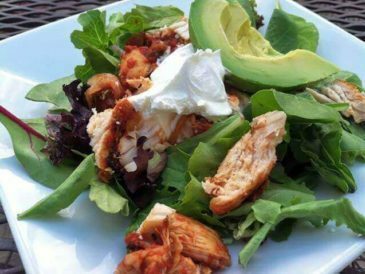 This recipe calls for cayenne pepper, which isn’t always a hit with kids. I enjoy spicy foods, and my kids can take a little heat too, but it’s not for everyone. Leave it out entirely or scale down the heat by putting in less. Ground cumin and chili powder give plenty of flavor without the cayenne. This classic, tomato-based sauce is the perfect accompaniment to some homemade enchiladas. It’s simple, yet packed with flavor. Heat 2 tablespoons of the olive oil in a medium-sized saucepan on medium heat. Add the diced onions and saute 3 minutes. Add the garlic and cook 2 minutes longer or until garlic is fragrant and onions are translucent. Whisking constantly, add arrowroot flour, chili powder, cumin, salt, cayenne (if using) and remaining 2 tablespoons oil. Add tomatoes and cook for a few minutes to blend the flavors together. Add the water a little at a time, making sure to stir. 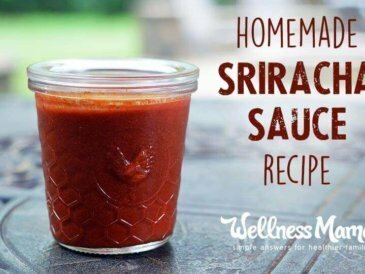 If the sauce seems too runny, stop adding water. If it seems too thick, add more. Simmer the sauce on low heat for 10 minutes. Put all ingredients in a blender or use immersion blender and blend to desired consistency. If you accidentally added a little too much water, just simmer the sauce a little longer until it reaches the desired consistency. 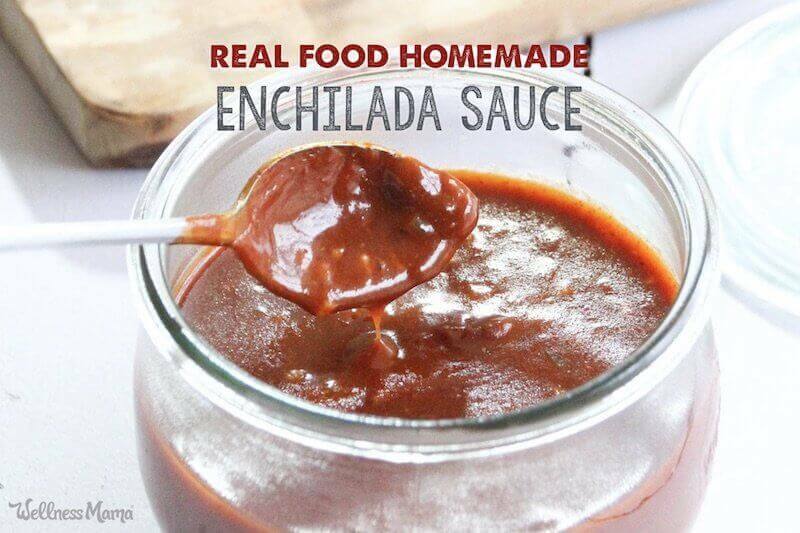 This enchilada sauce is great to have already made for when you need it for a quick meal. Try making a double batch and freezing it so you always have it ready! Can You Keep or Freeze Homemade Enchilada Sauce? The short answer is yes! This recipe only takes a total time of 20 minutes to make (not counting cook time for enchiladas), but I’m always up for saving more time. Batch cooking is a great skill to learn (took me some time, but I’m getting there!). By doubling (or tripling) the recipe and freezing the leftovers, it makes future meals even faster. Some people recommend ladling the cooled, homemade enchilada sauce into freezer-safe plastic bags, but we use glass jars to avoid the plastic. Just be sure to leave enough head space (about 2-3) inches when filling. Is Enchilada Sauce and Taco Sauce the Same Thing? Sort of, not really. 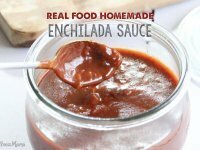 Enchilada sauce has a very smooth consistency, while taco sauce (unless it’s from the popular taco fast food joint) is sometimes chunkier. Enchilada sauce is also somewhat thinner since it’s going to be baked in the oven over enchiladas. 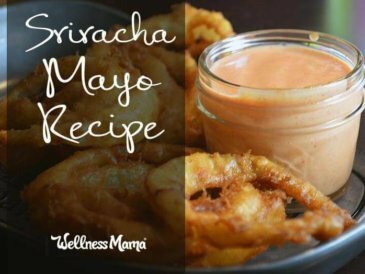 For recipes that call for taco sauce, enchilada sauce is just as yummy and close enough to use as a substitute. Are you a fan of enchiladas? What creative uses can you think of for enchilada sauce?